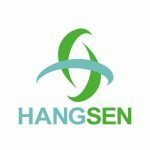 Hangsen Flavors has been the world’s leading manufacturer of e-liquid and vaping devices since 2009. These fine concentrates are now available in South Africa. E Liquid Concentrates 2019. All rights reserved. E Liquid Concentrates .